We are asking that all of our citizens become persistent in locking their vehicles. Ensuring all valuable items are not located inside the vehicle in plain sight. And remember if you see something, say something! Call 911 immediately if you hear any type of activity that sounds suspicious or unusual in any way. We ask that you don’t attempt to investigate, but just to call 911 immediately. Please utilize the TAPD mobile app to register your security cameras in our security camera surveillance database. In doing so, you can help yourself and your neighbors from being a victim of a vehicle burglary or theft. Several arrests have been made from the video surveillance that our citizens are providing to us in these cases. Vehicle break-ins only take a few minutes – even less when the car is left unlocked or when thieves smash windows to grab items they have seen inside! Criminals will often drive through parking lots or residential neighborhoods, looking for vehicles with open windows or unlocked doors. Vehicle prowler’s watch for valuables left in the open such as; cellular phones, electronics, stereo equipment, purses, or wallets. IF YOU MUST leave valuables in your car, conceal those items from view before arriving at your destination. Be aware that vehicle break-ins commonly lead to other crimes such as fraud and identity theft, so limit the amount of personal information you keep inside your vehicle. Record serial numbers of your valuables and keep them in a safe place (not inside your vehicle). Thank you and you can visit the Texarkana Arkansas Police Department online at http://www.txkusa.org/arkpolice. 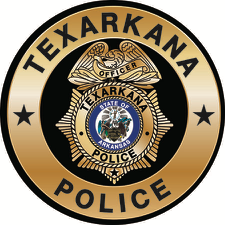 The Texarkana Arkansas Police Department is pleased to announce the recent promotion of Two officers. Sergeant Scott Megason has been promoted to the rank of Lieutenant. Lieutenant Megason began his career with the Texarkana Arkansas Police Department in March of 1992.